The Sophisticated Take on the Turtle. Turn the traditional turtle into a truffle. 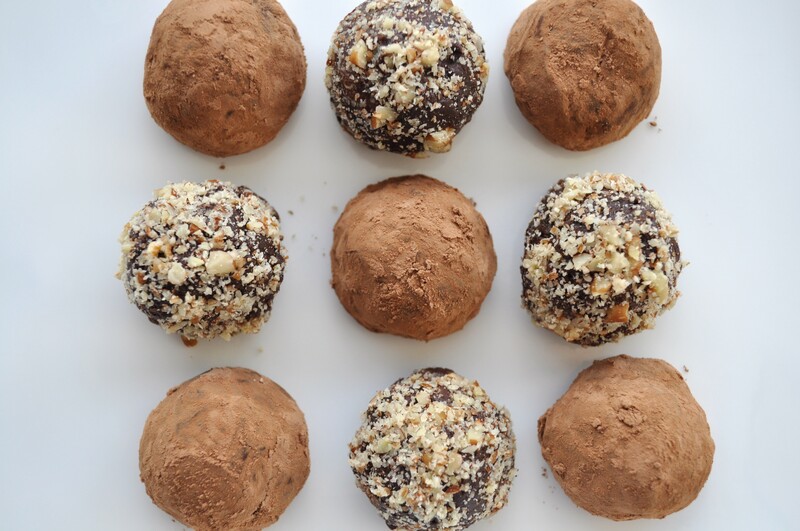 The Chocolate Caramel Truffle is salty and sweet in one, with a smooth texture that is slightly chewy. 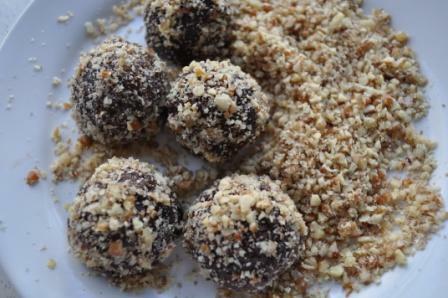 Create two variations: one coated in pecans and the other coated in cocoa (an alternative for friends and family with nut allergies). 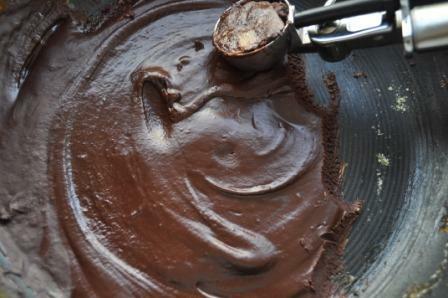 No need for a piping bag, get a mini scooper and make this homemade treat. 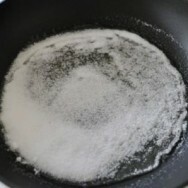 Pour sugar in a dry heavy saucepan over low-medium heat. 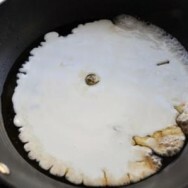 Allow sugar to sit undisturbed until it begins to melt, then occasionally swirl pan until sugar is completely melted and turns into golden caramel. Remove pan from heat. Carefully add heavy cream. Caramel cream mixture will bubble and slightly steam. Return pan over low heat. 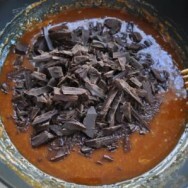 With a fork, stir mixture until it melts into into a smooth caramel sauce. Remove pan from heat again. Add chocolate, salt, and vanilla to caramel sauce. 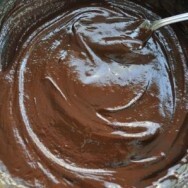 Stir mixture until chocolate is melted and smooth to make the truffle base. Place uncovered pan in refrigerator to cool for 30-45 minutes until it is set, then remove pan. Line a baking sheet with wax paper or parchment paper. 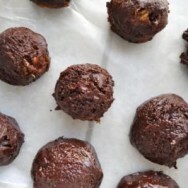 Using a mini ice cream or cookie scooper, scoop truffle base into balls onto prepared sheet. (The saucepan may have remnants of caramel. Optional: include each scoop with caramel remnants for a slight crunch and bursts of caramel in each bite, otherwise exclude remnants). Place sheet in freezer for 5-10 minutes to firm balls, then remove sheet. . 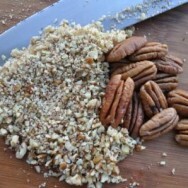 While balls are in freezer, place chopped pecans and cocoa onto 2 separate plate. 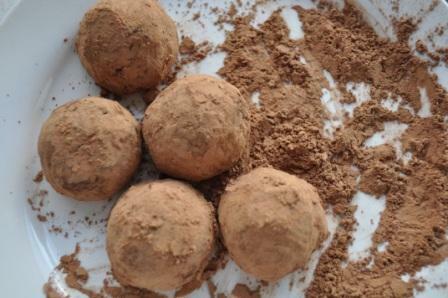 After removing sheet from freezer, shape truffles with cold, dry hands to smooth out surface. Divide truffles into 2 batches. Roll the 1st batch into cocoa and roll the 2nd batch in pecans to coat.